This new Voxation series album is loaded with fun tracks featuring the great pop-vocal talents of Michèle Vice-Maslin and her talented friends. Chick Pop Fun is perfect for summer movie fun or any film or video that can benefit from it’s infectious pop performances. Use SmartSound’s Mood and Timing tools to precisely control exactly how and where the words fit in your visual storyline. 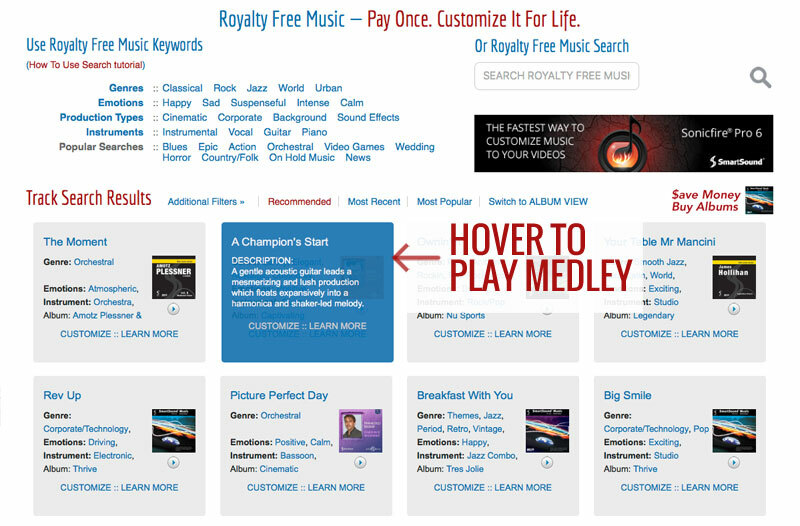 Introducing our new Royalty Free Music search page. 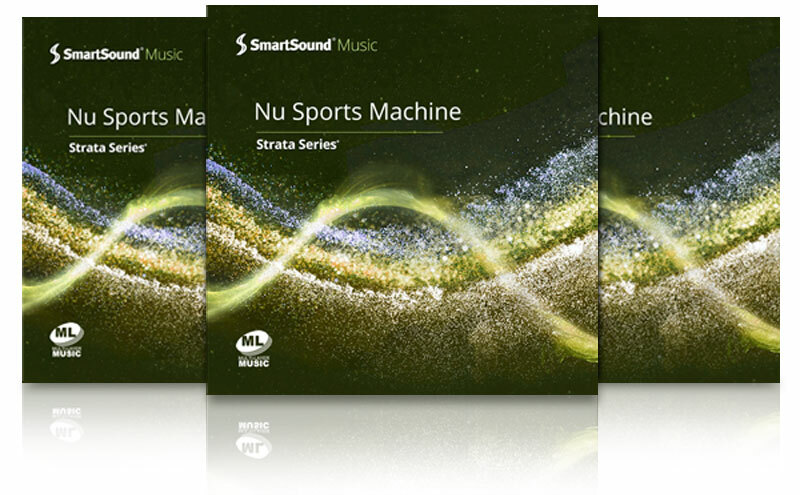 Our staff has selected some of SmartSound’s best music tracks and put them together on one easy-to-navigate page. Hover over to hear a sample of the track, click on any to hear the full track and use our More Like This and Other Tracks from the Same Album searches on the left to find tracks similar to these special tracks. 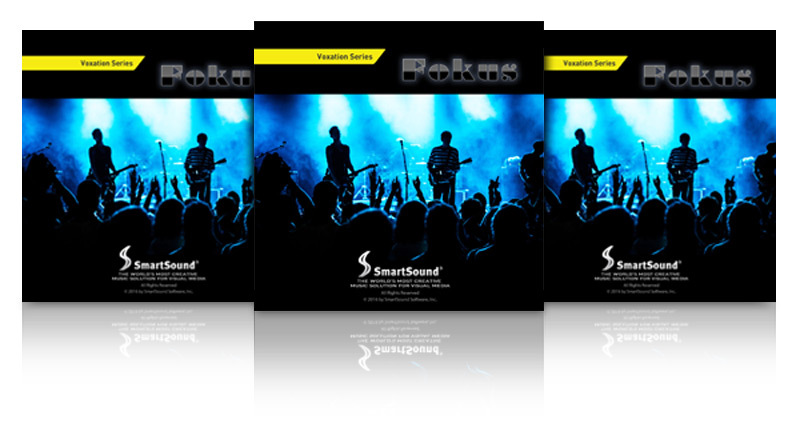 Introducing new lower pricing on SmartSound royalty free music singles—$49.95 each! That price includes our Extended License. Rhythmic energy, shifting textures and an emotional context meld in a clear, clean production style to evoke a sound ideal for environmental images with energy and purpose. 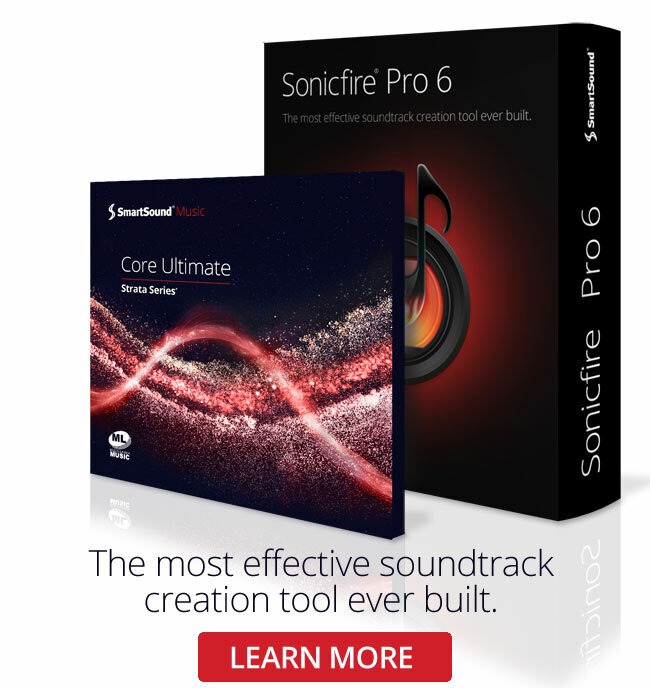 Produced in our Multi-Layer format, access all of Sonicfire Pro 6’s new features to create the perfect visual soundtrack. 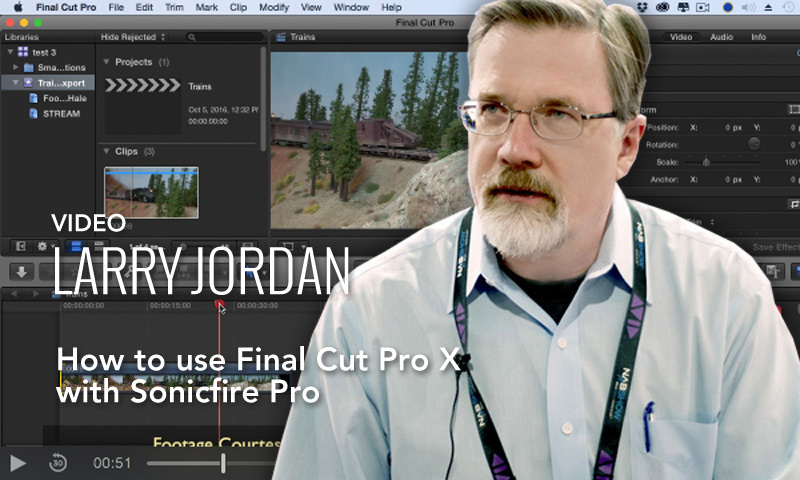 This video is an excerpt from a recent on-line video webinar by Larry Jordan: “3rd-Party Tools for Apple Final Cut Pro X”. This short video tutorial is the first five minutes of Larry's in-depth tour and training on the version 6 update to Smartsound’s SonicFire Pro. One of SmartSound's most popular composer and his powerhouse writing team have returned for another stellar Film Score series album. Specifically produced to overlay a striking, modernist vision on as many different styles as possible, this album has it all: Cutting edge music ideal for network television commercials, contemporary music to inspire, cinematic themes deploying rich, live orchestra in an up-to-the-minute context, high-activity pieces, punchy pop-fun, and more. 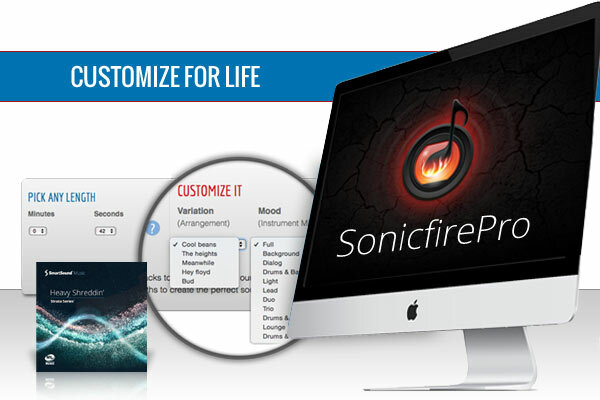 Bryant Frazer has a great review of Sonicfire Pro up at StudioDaily. When you think of legendary cinema, certain images, stars and of course sounds always spring to mind first. Finally, an album that takes the incredible sounds and styles of legendary film composers Henry Mancini, Jerry Goldsmith, Elmer Bernstein, Miklos Rozsa and Lalo Schifrin and spins them into incredible, original pieces covering many of the great cinematic moments etched into the public subconscious. 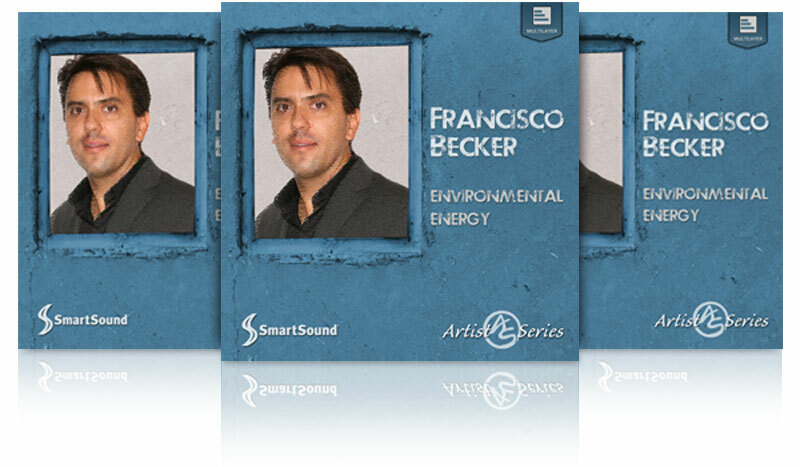 Immaculately produced in SmartSound's Multi-Layer format, these tracks give you absolute control over their texture, melodies, orchestration and even timing, to help you etch your scenes into your audience's subconscious. Tight pop-rock interspersed with hard edges populate this album of the up and coming band Fokus. Their debut album features powerhouse, infectious tracks with compelling vocals (as well as two great instrumentals!). The lyrics cover a wide variety of themes from upbeat-positivity, storied heartbreak, love conquered and more. From SmartSound’s Voxation label, it represents our commitment to offering the best music available for any film or video use, including vocal tracks from great indie bands and artists. What an amazing offering SmartSound has made to help us guys in the trenches! 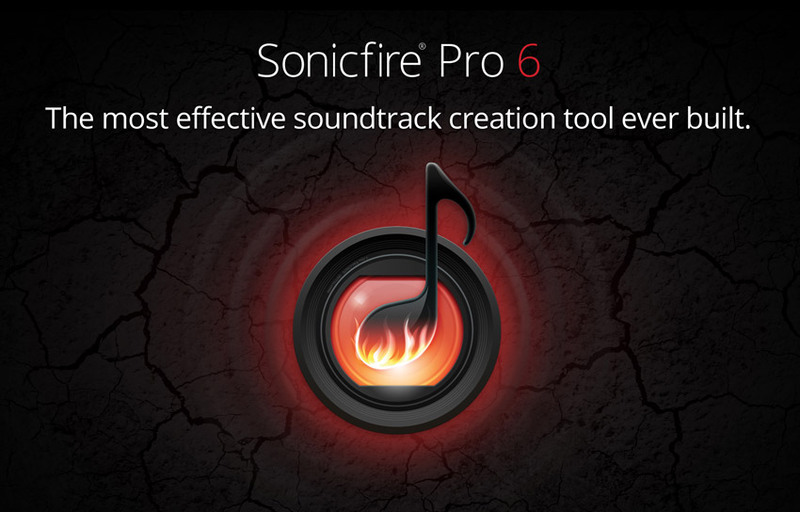 SonicFire Pro 6 is solid, fast, easy to use, and provides huge editable canvas to pull your musical needs together in one finely designed interface! In Part 1 I covered the basics of music licensing, giving you some simple but important concepts and definitions which form the foundation for understanding music licensing for video production. If you haven’t read it I suggest you start there before going on to Part 2 as Part 2 will make some references to it. Another orchestral masterpiece from Mr. Becker. This time out we experience a set of tracks expressing a rich panorama of emotions including calm, beauty, pensiveness, thoughtful activity, subtle mystery, thrilling and uplifting and epic. All tastefully done in a full, orchestral palette that cries out to be molded into highly personal video and movie backdrops through SmartSound's Mood Mapping technology.